In any plan, you can link stories, child notes and other plans together. 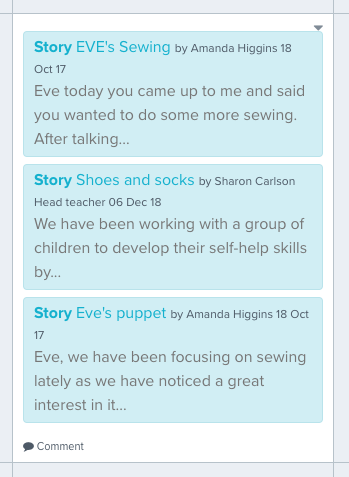 Link together a child's stories and/or notes about a particular interest or theme to show threads of learning, making it easier to visualise their learning journey – great for assessments or transitions. Link to an earlier programme from your current programme plan for easy reference. 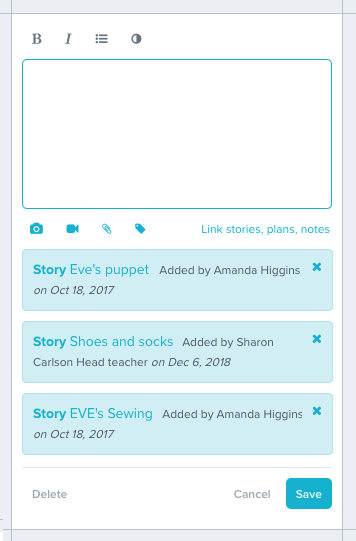 Create 6-monthly goals with parents and show the child’s progression on each goal over time through linked stories. Create a plan for each child, and an overview plan for your service. Link to each child's plan from the overview for easy, fast access. Create a calendar plan and on the day of each event link to that event plan. Create a daily diary plan and link to all group stories created that day. 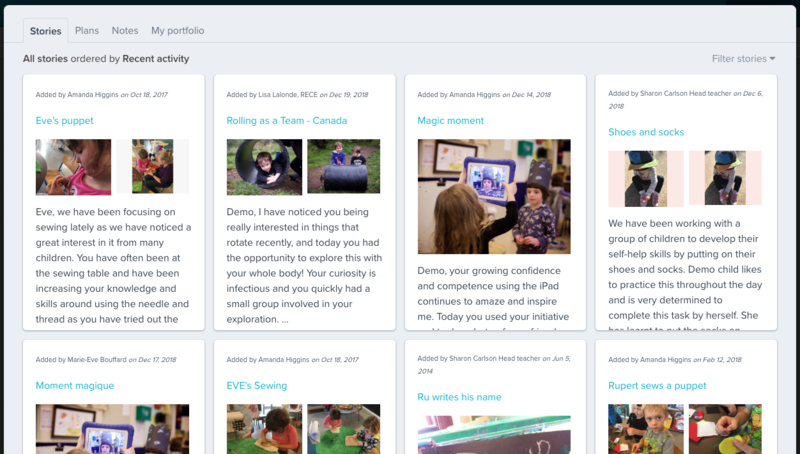 Create an appraisal goals plan to share with your head teacher or mentor and link to your teacher portfolio stories to show evidence of your practice. 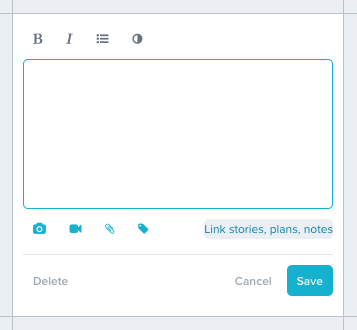 A mini editor will open where you'll see a 'Link to stories, plans, notes' option beneath the text area. When you tap this link a window will open that lets you pick which stories, plans or child notes you wish to link to. You can select stories, notes, plans or a mixture of the three by toggling between the three tabs at the top. To easily find what you're looking for tap the Filter button at the top right. 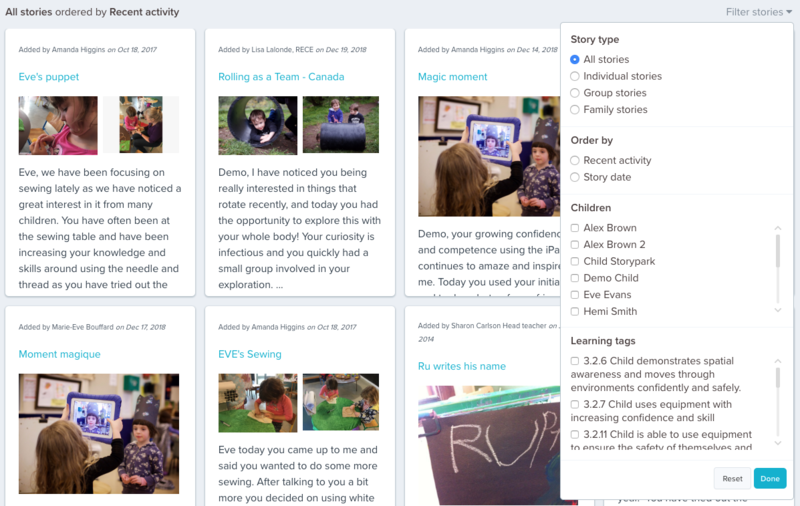 Select the stories, plans or child notes you wish to link to. When you've finished selecting, tap the Done button and it will appear in the editor. When you've finished editing, tap 'Save' and you'll see your links loaded in the planning cell. Who can see links in plans? Linked stories, notes and plans are only accessible to people who the links were originally shared with. For more information about what teachers and parents can see, and what happens if you link to something that not everyone has access to, see the article Sharing plans, who can access a plan and its links under the heading Who can see linked stories, plans and notes in a plan? Linking to community posts, conversations, family moments, learning sets etc. Note: Make sure that whatever you link to, is able to be accessed by anyone you share the plan with (ie. if you link to a conversation make sure all people the plan is shared with are part of that conversation). Otherwise, if they tap on the URL they will be told they don't have permission to view it.